Concord, Massachusetts – Its roots. 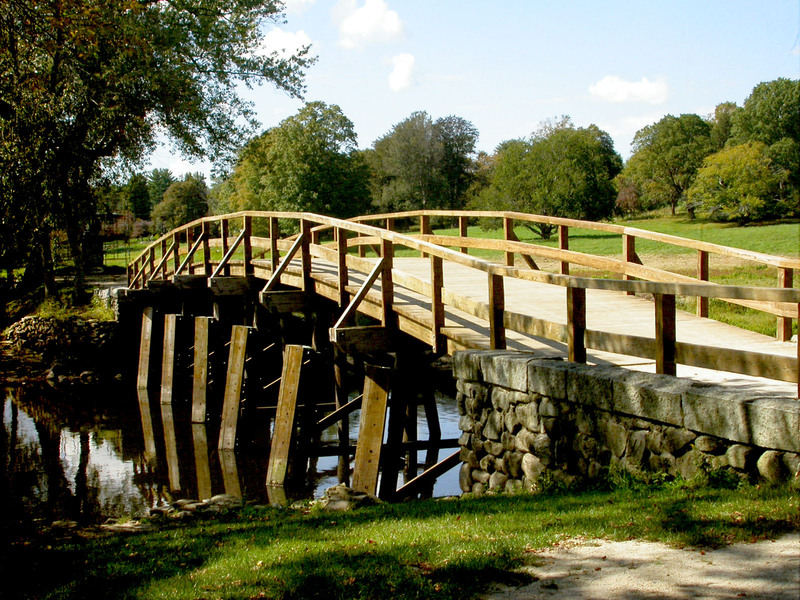 Concord, Massachusetts, is recognized for its role in our national heritage. Here, on April 19th 1775, ordinary farmers readily took up arms to defend their town against British troops and fired the ‘shot heard round the world’ that signaled the beginning of America’s War for Independence. Concord also has its special place in America’s literary heritage. In the 19th century, America was searching for its own distinctive voice in the world of literature. Attention was drawn to Concord because the town had its own native choir of authors. Nathaniel Hawthorne, Ralph Waldo Emerson, Henry David Thoreau, and Louisa May Alcott were generating a body of work offering a fresh American perspective to the world-at-large. In the mid 1980s an informal group of local Christians had been meeting together monthly in homes. Members of this group, known as “The Concord Fellowship” all attended Christ-centered churches outside of town. In 1985 they invited Pastor David MacAdam to speak to them about reaching out to their community. David had ten years of experience as an evangelist/church planter/pastor and disciple-maker in England and was currently serving as Minister of Evangelism, Discipleship and Missions at Grace Chapel in Lexington. With David’s encouragement, the Concord Fellowship studied the example of the early church and realized that the most effective long-term outreach to one’s community is achieved by building authentic new testament community within the community. This led to a resolve from 12 family units to plant a Christ-centered, Bible-based, Spirit-led, non-denominational church in Concord dedicated to reaching out with the life-saving message of the gospel of the Lord Jesus. In September of 1986 New Life Community Church’s first Sunday worship celebration was held at the Alcott School in Concord. By this time a network of home fellowship gatherings called “Life” groups was beginning to be built. It was in this context of these small groups that the community life took root in the region. Members would met in each others homes, or in offices, weekdays or nights or even mornings before work. The “L-I-F-E” in “Life Groups” is an acronym for the essential small group components- Loving Relationships, Involvement in Ministry, Fellowship in the Word and Evangelism. In 1987 New Life’s Sunday worship celebrations moved to the Concord-Carlisle High School and then in the 1990s to the old Emerson High School which was now the Emerson Umbrella for the Arts at 40 Stow Street. New Life continues in the 21rst century to serve the region and intends to build ‘something beautiful for God’, a multi-purpose facility to serve the ministries of the church. It will be a sanctuary for spiritual growth, a seedbed for developing new ministries and a showcase where our spiritual heritage is celebrated and where people can see how Christians love and serve one another in community using their God-given gifts to creatively communicate the timeless truths of the saving work of Christ.